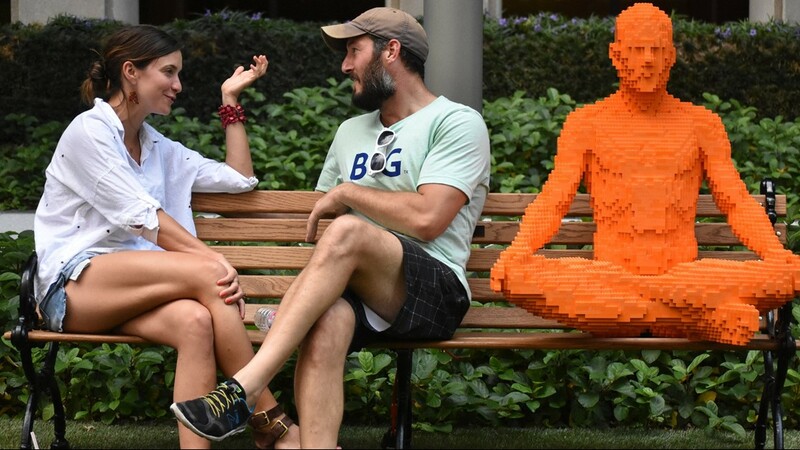 Award-winning artist Nathan Sawaya encourages visitors to interact with the Park People. 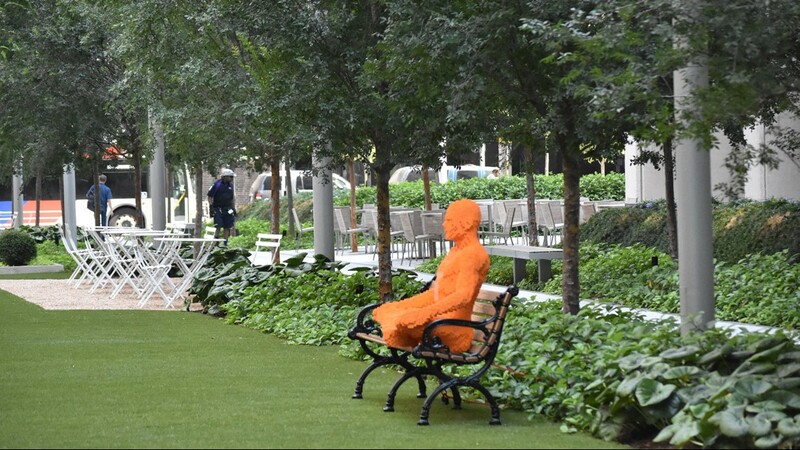 So, if you visit the statues, don't be afraid to mingle! 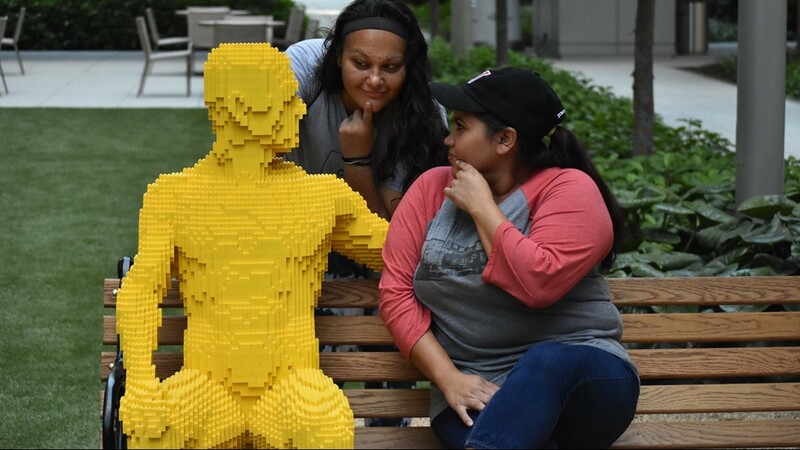 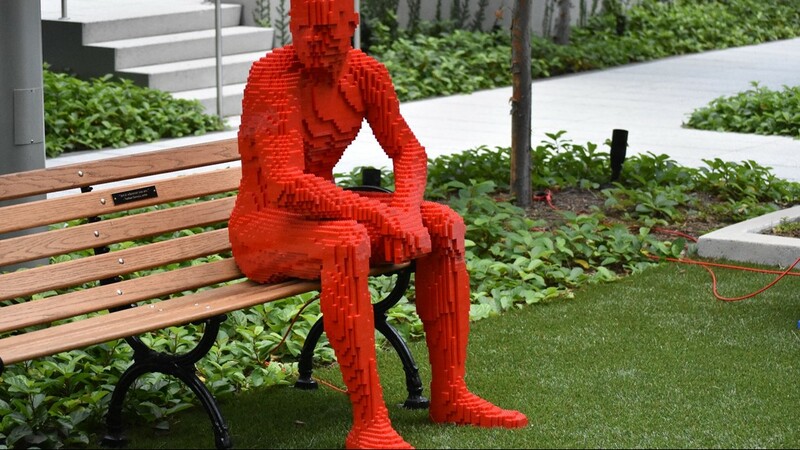 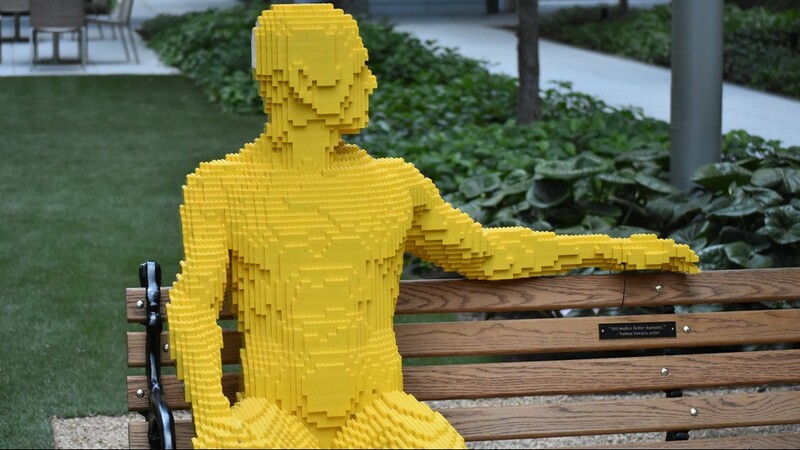 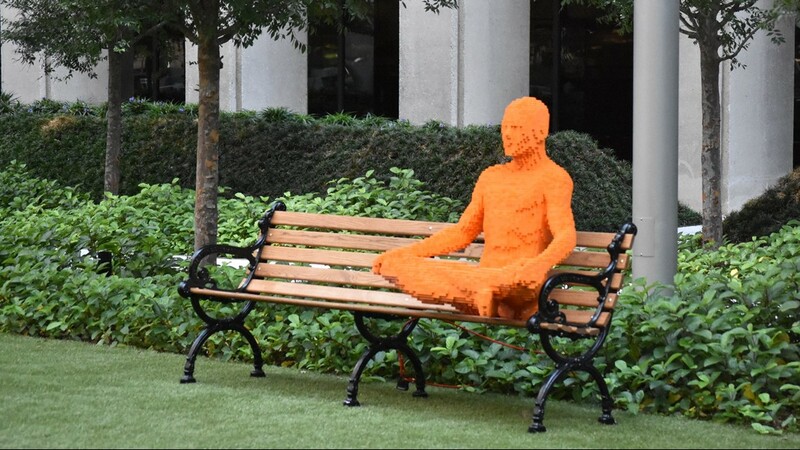 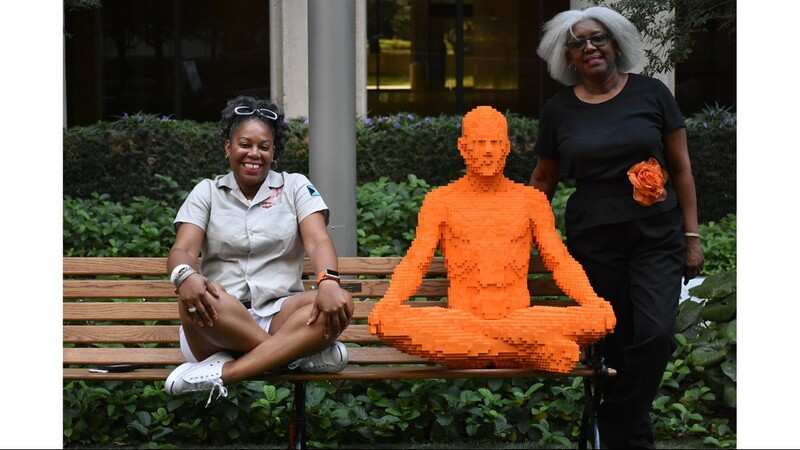 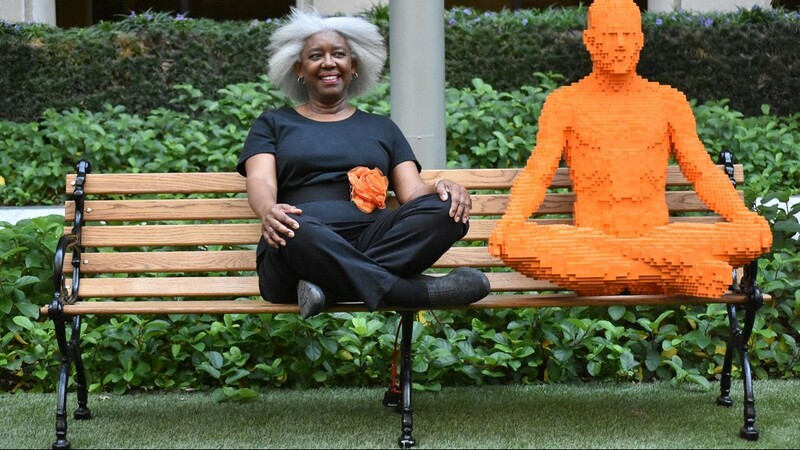 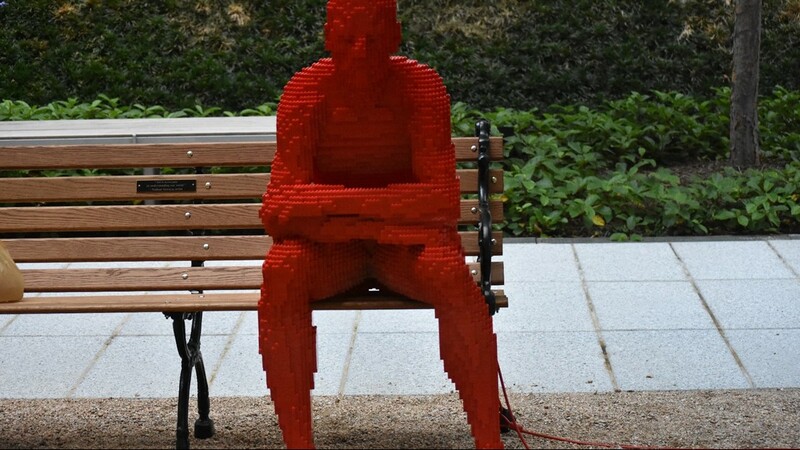 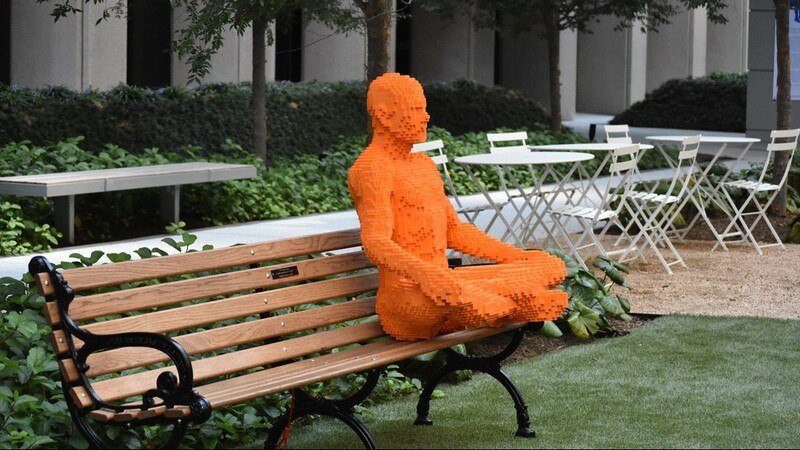 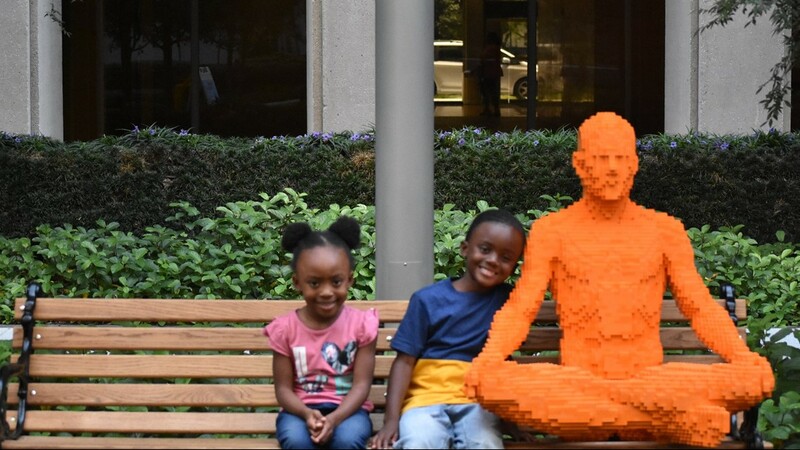 HOUSTON -- Six LEGO® brick sculptures found a temporary home at Allen Center on The Acre this summer. 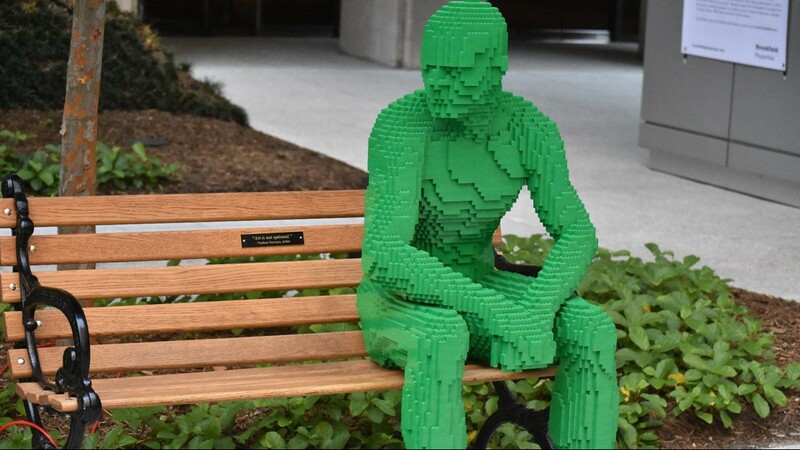 These popular figures, nicknamed Park People, attract visitors from all over to snap a picture or share a bench with during a lunch break. 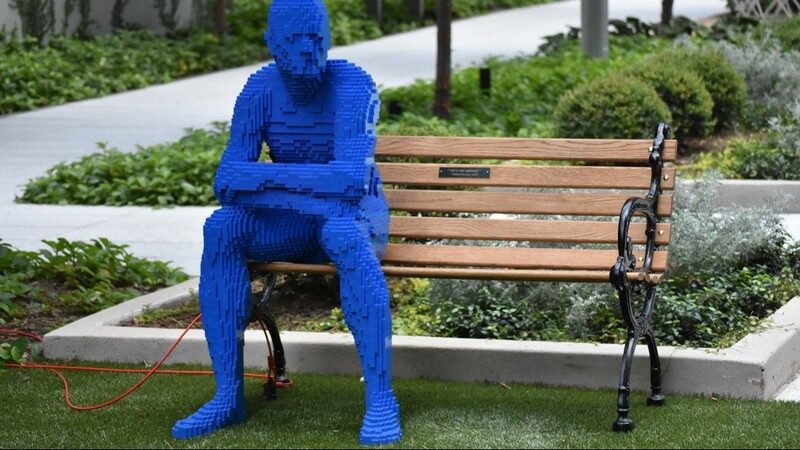 The life-size figures have traveled to other major cities such as Los Angeles, San Diego and Las Vegas. 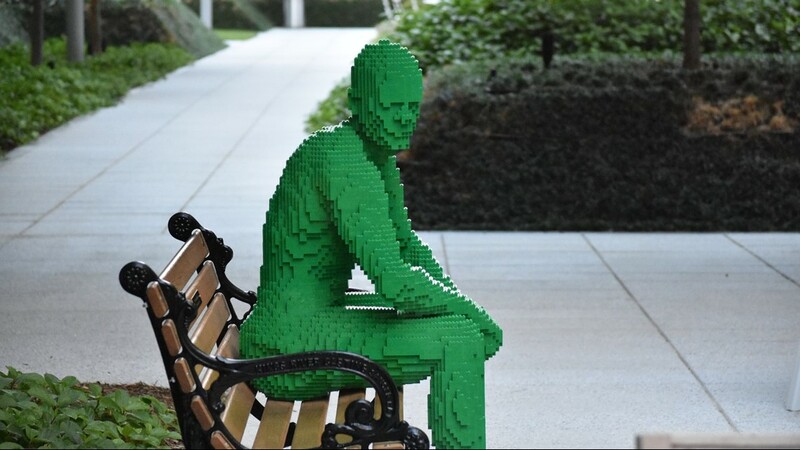 Park People even made their way to the White House for a guest appearance in 2016. 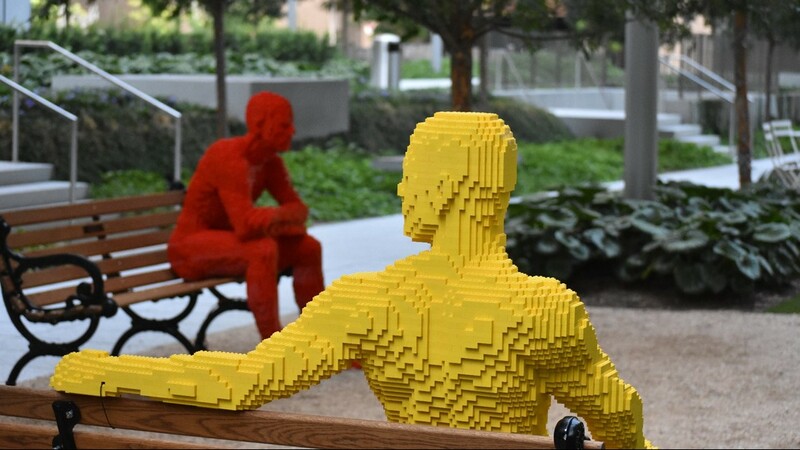 Sawaya spent months creating the figures, using only LEGO® blocks. 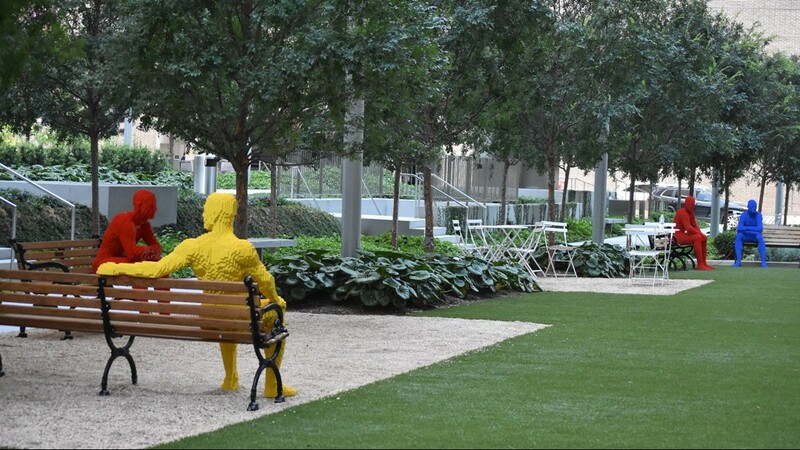 You can find the Park People relaxing on park benches at Allen Center on The Acre, but only until August 10. 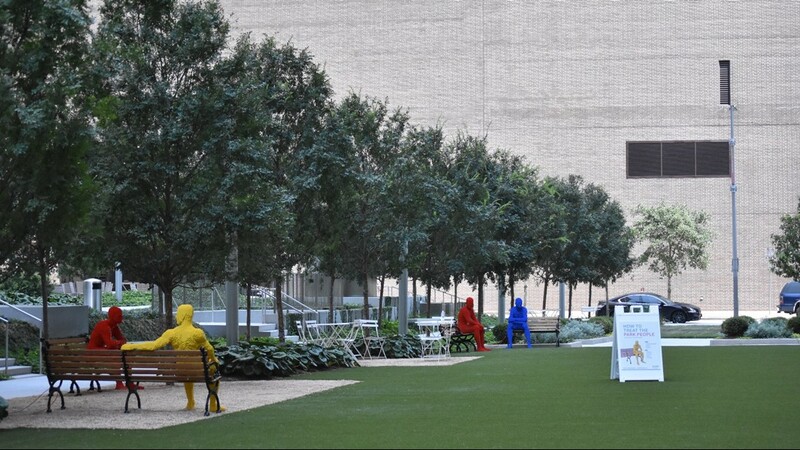 The figures will find a new home at the Houston Center on August 13-August 24.